Heading down cookie memory lane, here. 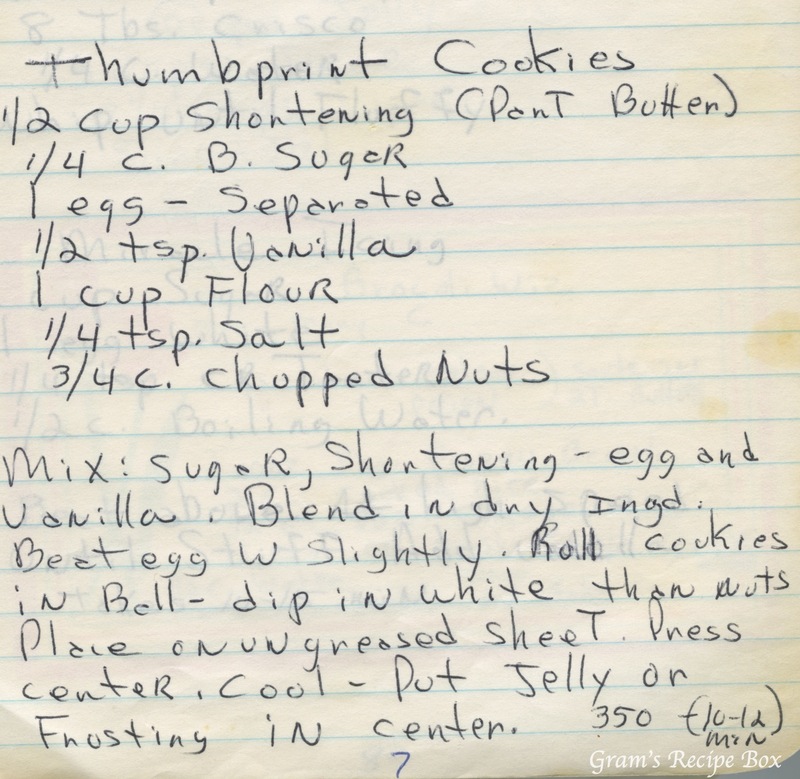 I used to just love thumbprint cookies, and the various butter cookies that follow a similar recipe. They remind me of Christmas, holidays in general, and those old Hickory Farms catalogs that used to arrive around Halloween. I always wanted *something* from that catalog because the cookies and candies just looked so pretty! As a note to the recipe, I think I would just use all butter rather than part shortening. Mix: sugar, shortening – egg [yolk] and vanilla. Blend in dry ingredients. Beat egg white slightly. Roll cookies into a ball, dip in egg white, then nuts. Place on ungreased cookie sheet. Press center. Cool, put jelly or frosting in center. 350 10-12 min.